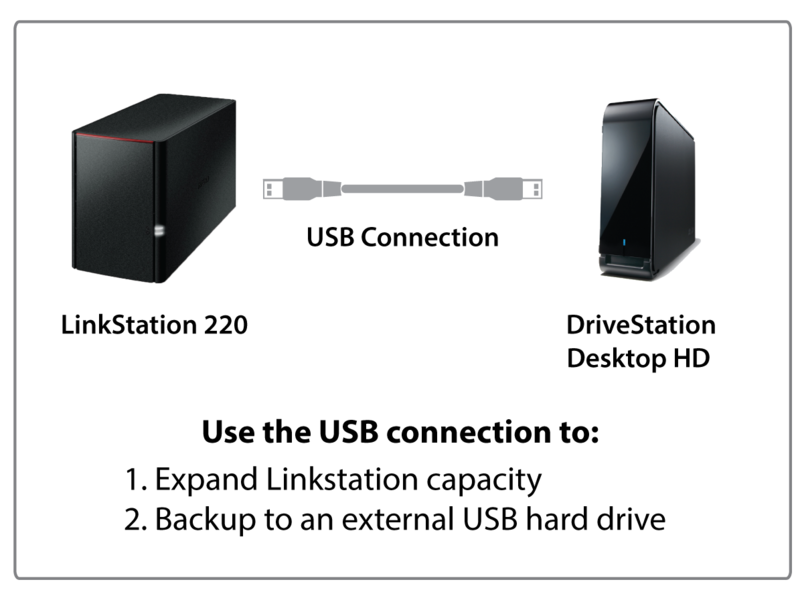 Buffalo's LinkStation 210 provides easy to use shared storage and backup for all PC and Mac computers, tablets and smartphones on your home network. Simply connect it to your wireless router for access anywhere in your home.While on the go, Buffalo's WebAccess service allows you to create a free personal cloud for easy remote access anytime, anywhere over the Internet, and even on your iPhone, iPad and Android devices. With LinkStation 210, you can back up multiple computers simultaneously and enjoy uninterrupted access to terabytes of storage anytime, anywhere. LinkStation 200 Series provides fast shared storage and backup for all PC and Mac® computers, tablets and smartphones on your home network with RAID data protection.Simply connect it to your wireless router for access anywhere in your home or on-the-go. Enjoy your movies, music, photos and more. Buffalo's LinkStation 220 is an affordable and intuitive 2-drive network storage device that comes equipped with a whole host of features, perfect for storing, sharing, serving and protecting your most important data. 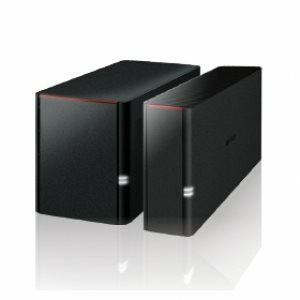 With terabytes of storage, LinkStation 200 provides a reliable, central location to store and protect all data from every PC and Mac computer, tablet and smartphone in your home or small office. Store, access and share files from anywhere over your wireless network at speeds up to twice as fast as a standard USB hard drive. LinkStation 200 features five licenses of NovaBACKUP® Workstation - Buffalo Edition and Time Machine® support for multiple Mac computers for whole home data backup and protection. Disaster and hard drive failures happen unexpectedly; don't leave your important files and treasured memories in the hands of chance. Set up regular backups for every computer in your house and easily protect all of your data, down to the very last byte. LinkStation 200 is DLNA Certified and it can be used as an iTunes server to stream all of your favorite music, movies and shows to multiple devices simultaneously. Now you can relax and watch movies on your big screen TV while music is pumped outdoors by the pool. Centralize your media files for simple sharing and streaming. LinkStation 200 runs on Buffalo's LinkStation NAS System, providing a host of useful features from network file sharing and security to RAID management (on multi-drive units), remote access and more. Included on all Buffalo LinkStation devices, LinkStation NAS System simplifies your everyday data needs. LinkStation 220 features two hard drives and support for RAID 0/1 for maximum capacity or redundant data protection.